Federico Cimatti created Prensa la Libertad in 2008. 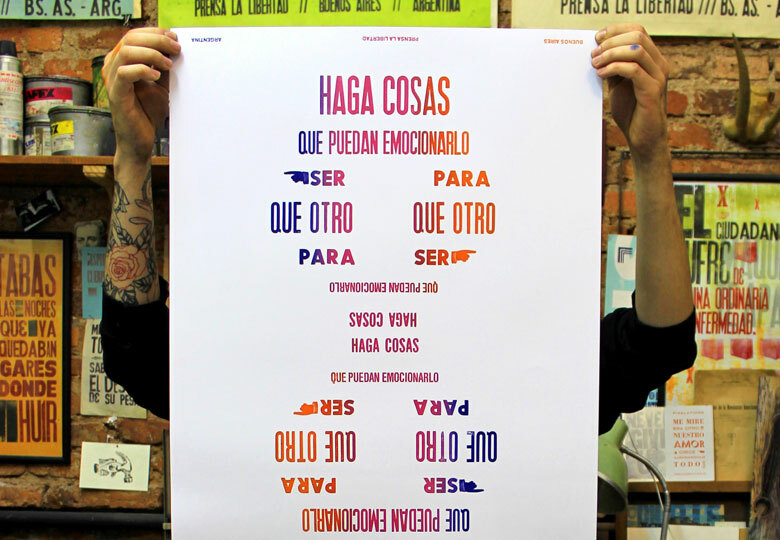 Having studied graphic design, he ultimately gravitated towards the letterpress printing system used in old school typography. 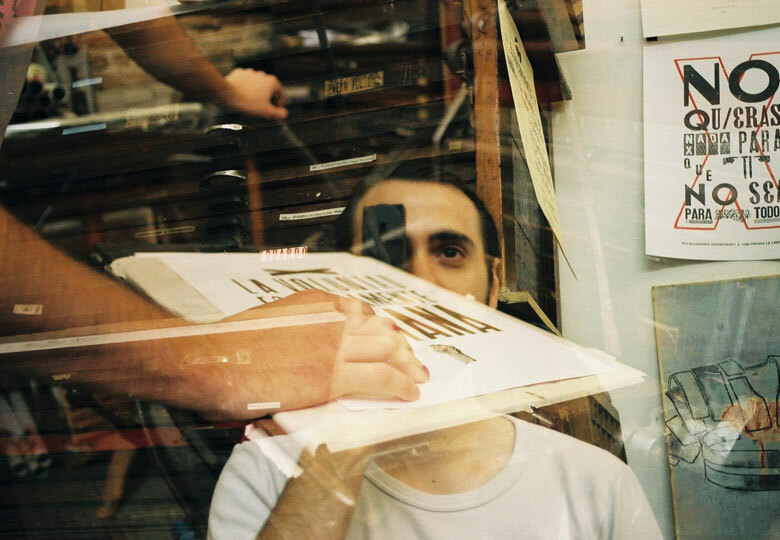 Highly skilled in a medium now all but extinct, Cimatti uses vintage machines and collections of movable types and characters salvaged from defunct printing shops to create typeset works that both celebrate and reinvent traditional printing. Fascinated by the minutia of day-to-day city life, Cimatti collects words and phrases from things seen in the streets and heard in idle conversation. These urban snapshots serve as inspiration for visually compelling works composed around the artist’s thoughtful minimalist verse. 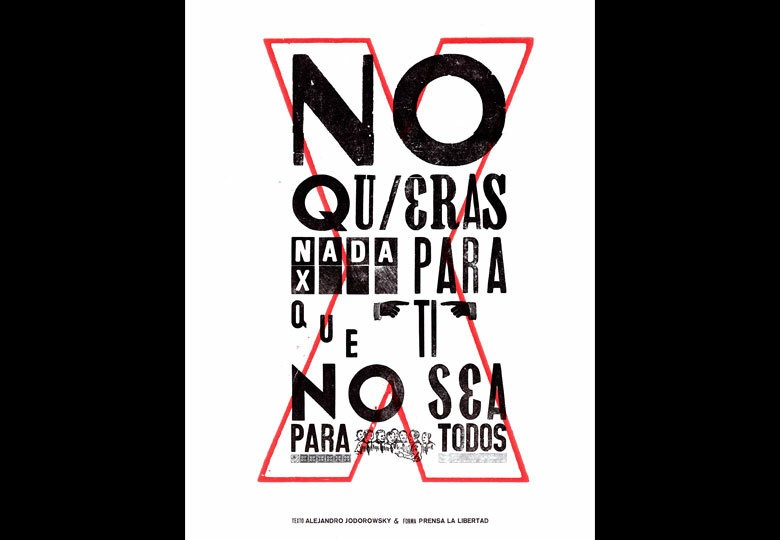 An artist with the eye of a designer and the hand of a craftsman, Prensa la Libertad creates visually stunning works that transmit meaning through messages at times cryptic and always memorable.